Biology is littered with concepts that biologists cannot always agree on how to define or where there are special cases where the common definition have to be amended. Species. Complexity. Modularity. Evolvability. Evolution. Genes. Community. Robustness. Open-ended evolution. Fitness. Life. Take species. The current state of affairs is that there are many different definitions, and people can't always agree which one is best. Each one of us may have a favorite. (Mine is the Ecological Species Concept by Van Valen (1976) Ecological Species, Multispecies, and Oaks. Also, best title ever.) This often leads to more or less antagonistic attitudes among people, and can have negative effects on the review process. As far as I'm concerned John Wilkins is the man to go to for species definitions. He lists 26 of them. In this case, "species" is the concept, and curse Ernst Mayr for being first to call a proposed definition a "concept" (i.e., the Biological Species Concept - which should also really have been the Reproductive Species definition). 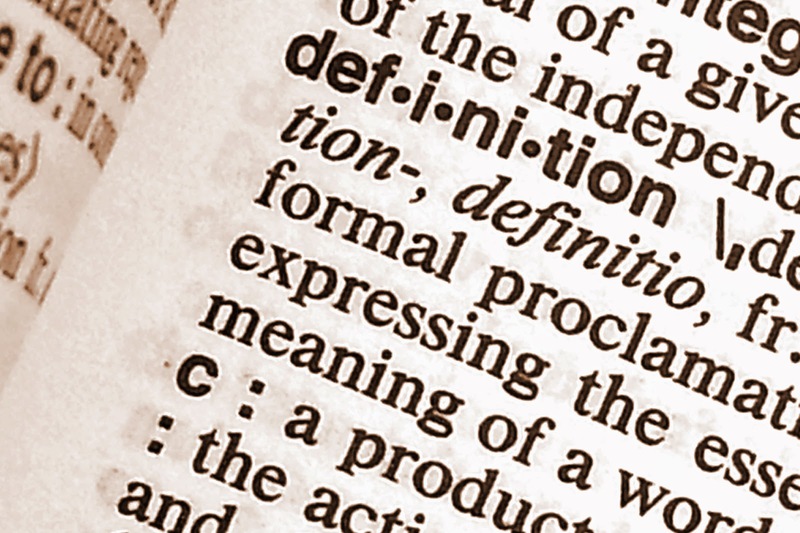 What I propose is the stop calling the proposed definitions "definitions", and instead call them "criteria". When determining if two groups of living organisms are different species, all you'd have to do is go down the list and check off those criteria that are met (easier said that done, I know). And then when talking about this, qualify the type of species by naming it according to the matching criteria. Your two closely related groups of organisms would then be ecological and phylogenetic species in the case brown bears and polar bears, and reproductive species in the case of horses and donkeys. The reason I propose this is that this sort of pragmatic meta-definition has the potential to end unproductive arguments and replace them with clarity - a clarity that emphatically depends on people qualifying the type of species/complexity/modularity or whatever else they are talking about. The point is to move research forward, rather than letting it be mired in argument, and I think that can be done by simply being more explicit about what we mean when we say something. Anybody feel like taking a crack at evolvability or life? I am inclined to agree with you. If I were to define species it would be something metaphysical and unmeasurable, along the lines of "two organisms are the same species if they have a shared evolutionary fate". Then all of the standard definitions become criteria for evaluating shared evolutionary fate. For example, organisms sharing a common fate also would share ecologies, phylogenetic history, if they were sexual they would be actually or potentially interbreeding, etc. It is probably for the best that I only think about species definitions at the pub, so I do not pretend that the definition I just gave is anything close to useful. One hundred and thirty-six years since On the Origin of Species..., biologists might be expected to have an accepted theory of speclation. Instead, there is, If anything, more disagreement about speclation than ever before. Even more surprisingly, 60 years after the biological species concept, in which species were conslidered to be reproductlve communities Isolated from other such communities, we still do not all accept a common definition of what a species Is. And yet, if specilation is to be any different from ordinary evolution, we must have a clear definition of species. The emerging selutlon to the species problem is an updated, genetic version of Darwin's own definition. This definition is useful and is already boing used in taxonomy, in blodlversity studies and in evolution.